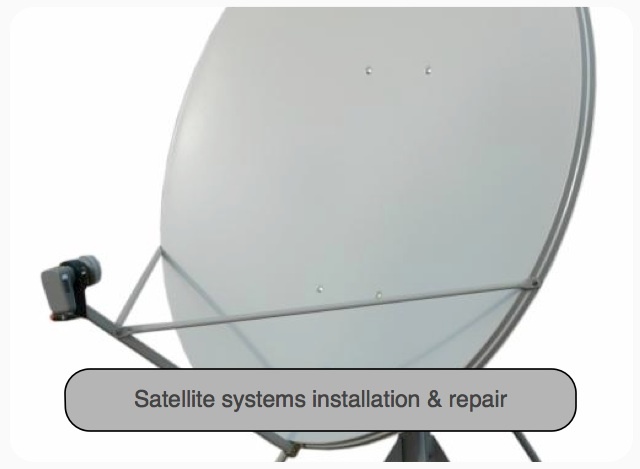 Satellite television is TV programming delivered by the means of communications satellite and received by an outdoor antenna, usually a parabolic reflector generally referred to as a satellite dish. A satellite decoder is needed to convert the received signal into a form that can viewed via your television. Based locally, in Andorra, Electric Arquer can provide you with all the equipment needed to receive satellite broadcast channels like SKY, including Dish, Decoder, Cables, Cards and Installation.